Observers in Kaktovik, Wainwright, Point Lay, Point Hope, Kotzebue, Utqiaġvik, and Wales observe and record sea ice, weather, wildlife, and subsistence activities throughout the year, particularly in relation to the seasonal cycle. Produced by the National Ice Center and updated daily, this layer shows the sea ice edge and delineates the marginal ice zone from fast ice. Fast ice or shorefast ice is anchored to land and relatively stable. The marginal ice zone is the transition between fast ice and the open ocean. It can consist of drifting ice floes, or compact floes at the head of fast ice, but is subject to deformation from ocean processes. This portion of the ice cover is the most biologically diverse and is an essential habitat for marine mammals, fish, and birds. Sea ice extent data come from the National Ice Center and Polar View. 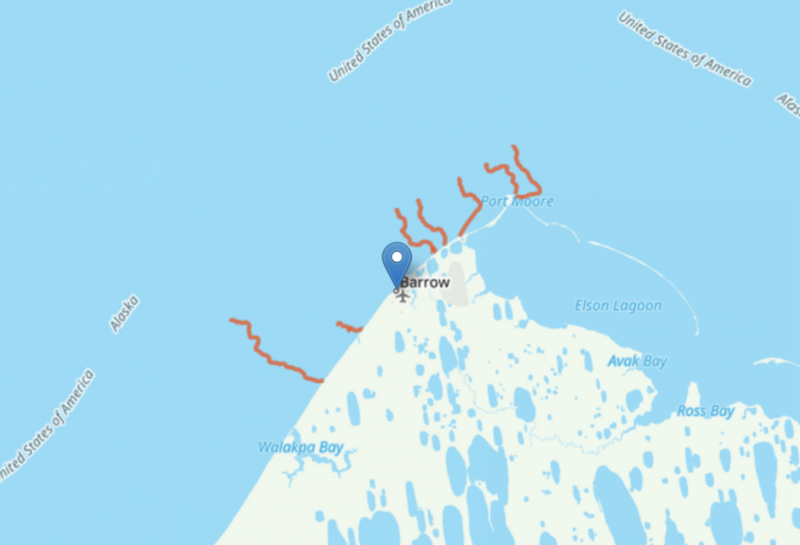 SAR imagery of Alaska's north coast.